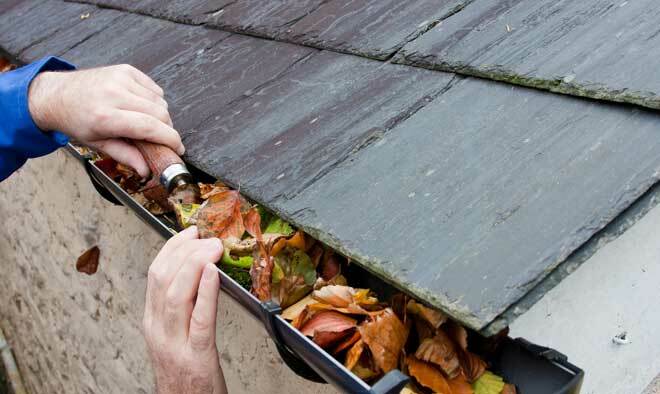 If you are like many homeowners, you have probably wondered whether gutters are even necessary. After all, they are prone to clogging, attract nesting birds, can only handle a limited volume of water, and can eventually pull away from your roof or tilt. Some roofers even advise against them. Rain gutters are the most controversial type of gutter. They are generally not required by law on a sloping roof, and many modern homes omit them, even in instances where they are beneficial. In order to decide for yourself whether rain gutters are necessary for your home, it is best to first weigh the facts. The basic function of a gutter is to provide a channel for redirecting water. They are designed specifically to reduce erosion by guiding water to a drain or safe area. Gutters have a limited capacity and may overflow, although they still effectively remove a large volume of water. Rain gutters are affixed to your roof and are usually made of aluminum, copper, or plastic. The gutters along your roof catch rainwater as it washes down the side of the roof. This water is channeled through downspouts where it exits away from your home. By redirecting rainwater, the gutter reduces erosion of the ground against your home and may greatly decrease the risk of basement flooding and foundation damage. In some circumstances, the downspout empties into a tank or barrel for garden use during dry weather. Red clay – Ground rich in clay can be very difficult to work with, and once water makes its way to your foundation, the clay will serve as a pipeline to continue delivering water to the same spot. By using gutters with a drainpipe and ground-based gutter line, you can direct the water a safe distance from your home. The surrounding landscape slopes upwards – When your home is at the bottom of a slope on at least one side, water will pool along the foundation both above and below ground. Using gutters on that side of the home will allow you to redirect the water towards a downward sloping side. A small gutter along the ground will assist with any runoff from the landscaping. Little or no overhang – Roofs which fit close to the home allow water to pour from the roof to within a foot of the foundation, creating numerous problems. Frequent rains will cause trenches to form where the water forms. Rainwater remains close to the foundation once absorbed by the ground, causing extensive damage over time. You may also have to pass through a waterfall when entering or exiting your home during a storm. the landscaping around your home slopes downwards, especially when other factors are present. your home is surrounded by concrete, be it sidewalks, driveway, or patio. In this case, the concrete already provides your foundation with a protective barrier from water. you live in an arid location where there is little annual rainfall. your roof has an extension or long overhang which allows water to run off a safe distance from the foundation. Why Do Some Roofers Advise Against Gutters? When a roofer advises against installing a gutter, you should ask for specific reasons. Many roofers claim that having a gutter will ruin the facial boards of your roof. These boards are one by six inches and support the roof’s overhang. Improperly installed gutters may splash these boards during rainstorms, causing them to rot. However, facial boards are relatively inexpensive to replace, unlike having to lift or replace foundation, and will not be damaged if the gutters are properly installed, making this another invalid argument. As gutters provide a lot of extra work, some roofers will simply wish to avoid the labor. Legitimate reasons to omit gutters have been given above, and a good roofer will point these out when telling you not to replace or add gutters. In a few cases, the roofer may suggest extending the roof instead of adding a gutter. This is especially true of older homes where the roof seam for a first floor expansion has begun to leak. There are a few common excuses homeowners give for wanting to remove their gutters. In both instances, the problem is solvable. This is perhaps the single most common complaint about gutters, especially on properties with several trees. The issue may be solved by adding gutter covers, which are inexpensive. Some covers have small diamond-shaped openings which allow tiny debris to enter but block leaves. What debris enters is easily flushed during rain, and leaves may simply be swept or blown over the gutter’s surface. Gutter covers also prevent birds from nesting within the gutter. It is a common misconception that gutters create ice dams during winter weather. Unfortunately, the presence of ice dams is evidence of a problem with your attic or crawl space. This is usually a matter of poor ventilation or insulation, and you are at risk of damage to your roof regardless of whether a gutter is installed or not. You should contact a professional to check your attic and remedy the underlying issue. CostHelper provides cost estimates for installing or replacing gutters. They also offer cost estimates for having your gutter professionally cleaned. The U.S. General Services Administration (GSA) offers guidelines for the inspection and maintenance of gutters. 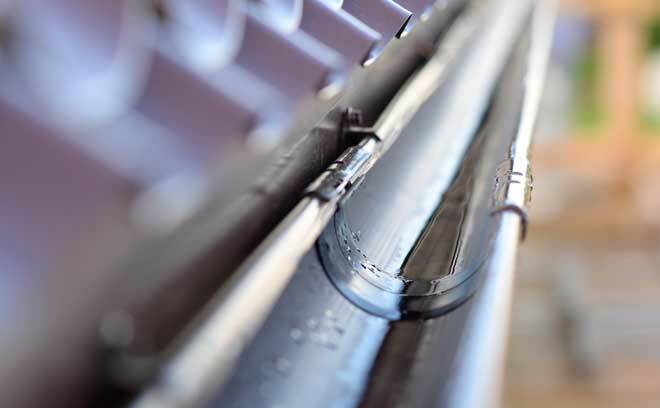 While primarily aimed at historical buildings with built-in gutters, the guidelines are useful for maintaining your own home’s gutter system.